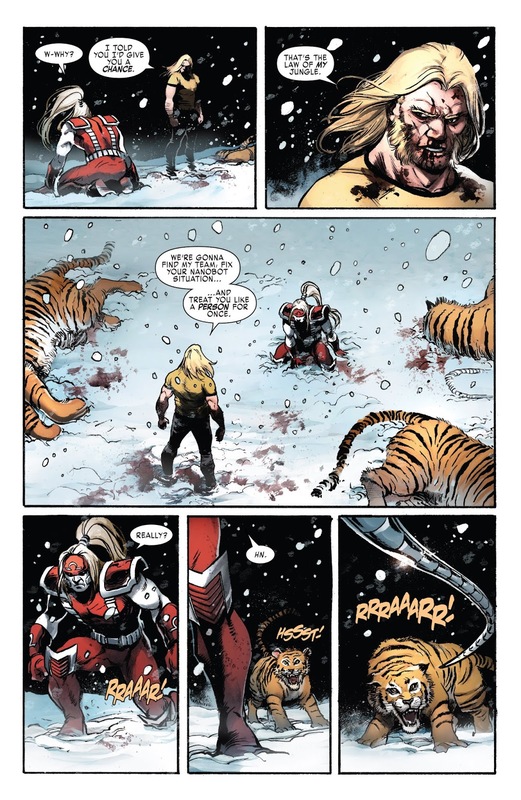 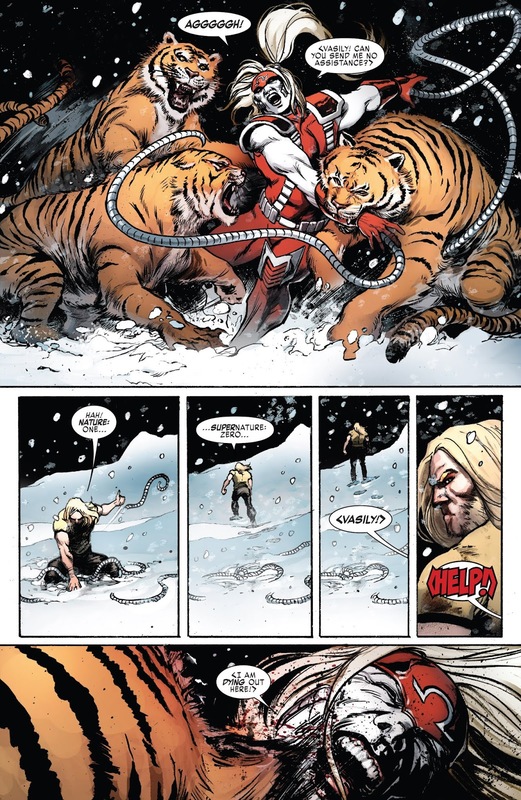 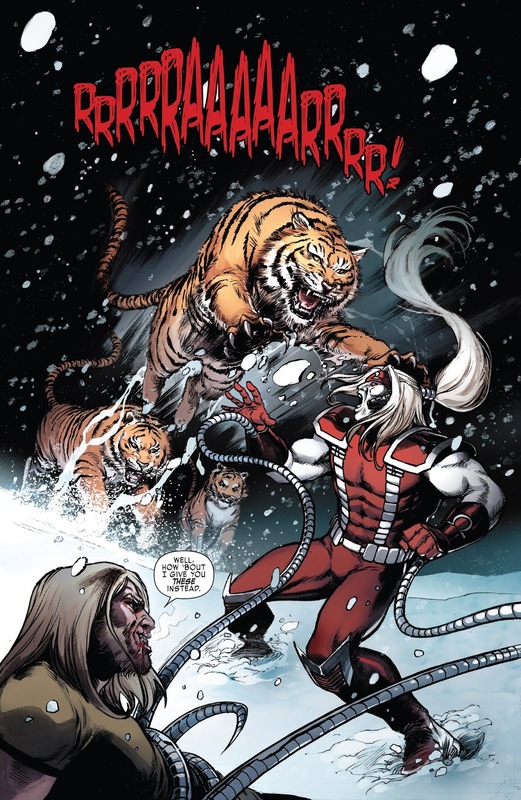 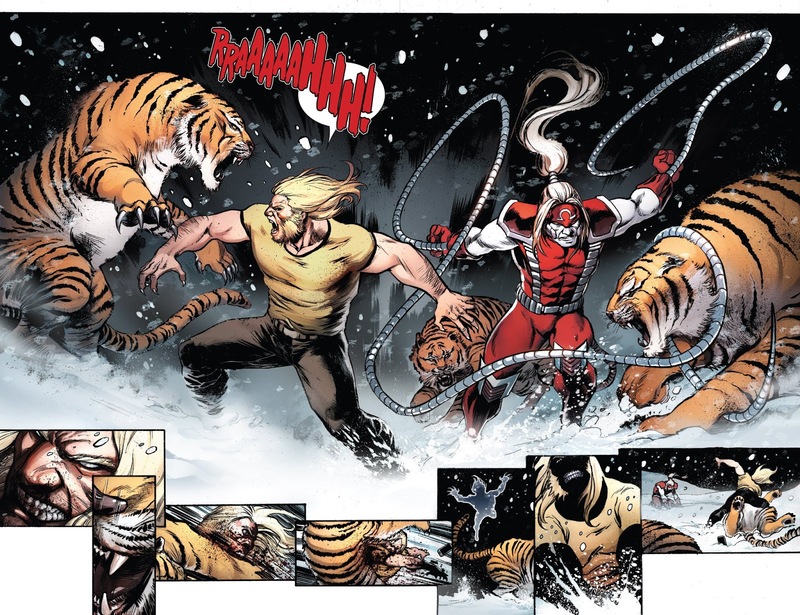 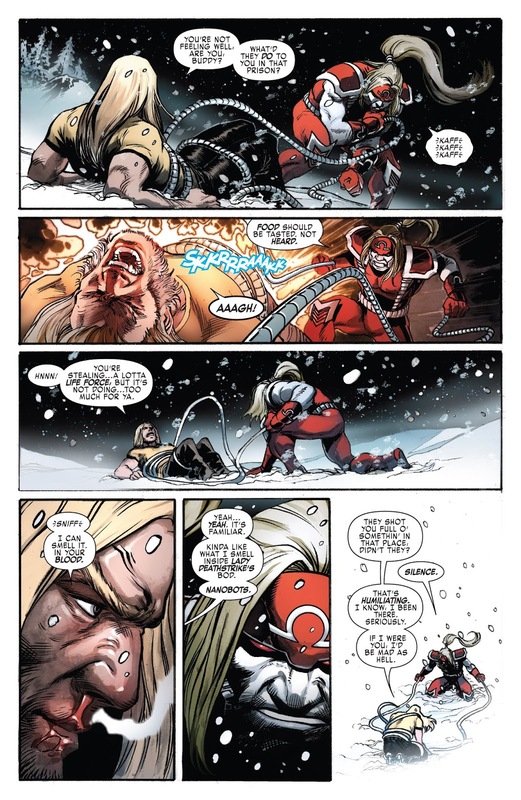 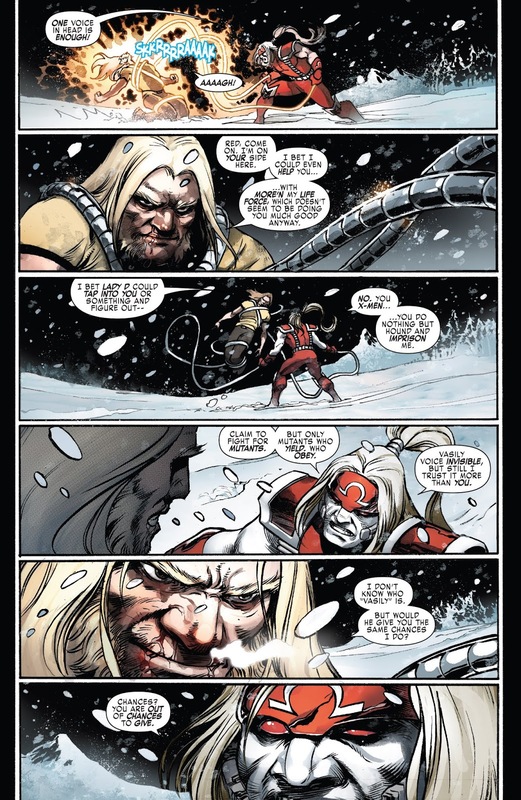 Sabretooth successfully recruits Omega Red to join their merry little band of hunters/trackers/mutants/psychos, after a brutal fight against Siberian tigers I assume. 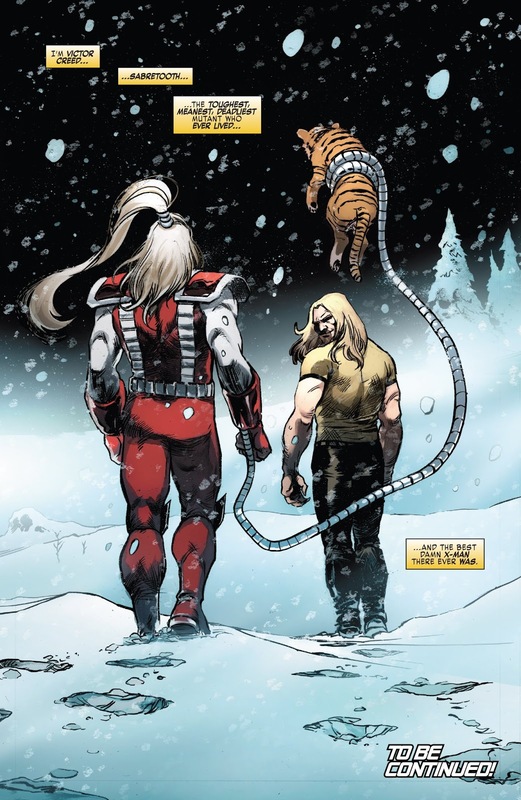 Excited to see how the dynamics would work. 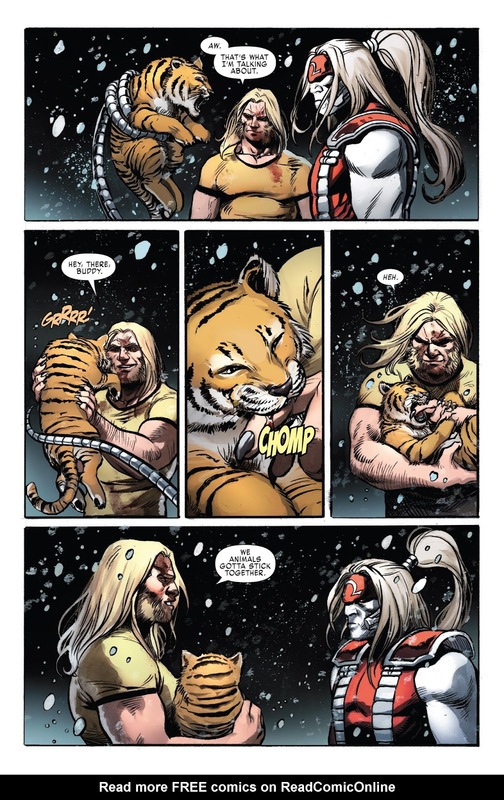 And it looks like they adopted a cute little tiger as their pet.